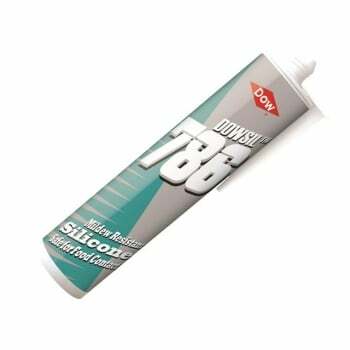 Dowsil™ 786 is a one-part mildew resistant silicone, which contains a food-grade fungicide and offers excellent adhesion to a variety of non-porous surfaces, including ceramics and aluminium. Used for sealing in refrigeration units in domestic and commercial kitchens and other areas of common food contact. It conforms to BS 5889 Type B. It also meets US food and drugs administration regulation Number 21CFR177.2600. It is a high modulus - acetoxy cure type and is safe for repeated food contact.